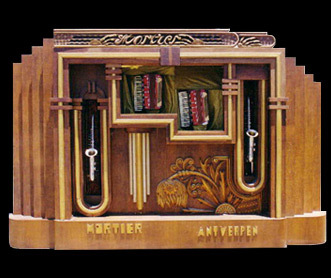 Dating from 1940's to 1950's Mortier Cafe organs (also called Cafe Orchestrions) have very modern facades. 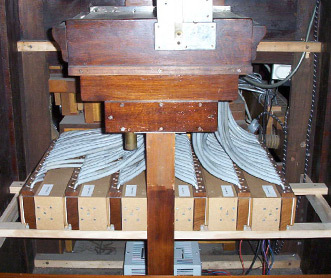 Later models started to introduce electronic sounds on certain registers - the above organ is entirely organ pipes, percussion (and Accordions!). 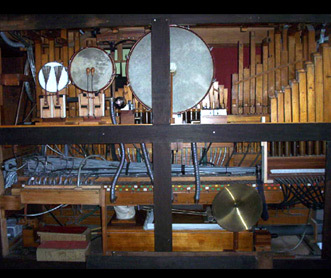 This organ is comparable in age and size to the Decap Jazz also in the collection.